The Country Music Hall of Fame and Museum will honor Hall inductee Bill Anderson on December 12 as part of its quarterly programming series Poets and Prophets: Legendary Country Songwriters. The 1:30 p.m. program, which will be held in the Museum’s Ford Theater, is included with admission and free to members. The event will include an interview with Anderson by Museum Editor Michael Gray and a brief performance. The program will also be streamed live in its entirety at the Hall’s recently revamped www.countrymusichalloffame.org. 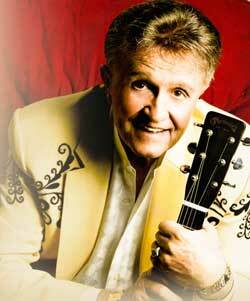 In addition to his accolades as a recording artist, actor, game show host, author and entertainer, Bill Anderson is one of the most successful songwriters in country music history with hits spanning over five decades. Anderson wrote many of his own hits and wrote or co-wrote the country classics “City Lights” (Ray Price), “The Tip of My Fingers” (Eddy Arnold, Roy Clark, Steve Wariner) and “When Two Worlds Collide” (Roger Miller, Jim Reeves). His more recent hits include “A Lot of Things Different” (Kenny Chesney), “Give It Away” (George Strait) and “Whiskey Lullaby” (Alison Krauss and Brad Paisley). The Poets and Prophets series honors songwriters who have made significant contributions to country music history. Previous honorees include Matraca Berg, Bobby Braddock, Jerry Chesnut, Hank Cochran, Dean Dillon, John D. Loudermilk, Bob McDill, Curly Putman, Whitey Shafer, Jeffrey Steele and Craig Wiseman.